Summer is great, but mosquito bites are not. They are more than just annoying, mosquitoes can actually carry and spread serious illnesses. Fortunately, we have developed many ways to shield ourselves from mosquito bites, mostly in the form of repellents. Not a single state in the U.S. is immune to mosquito-borne diseases. They are found everywhere, every year. Mosquitoes have an instinctive ability to locate human skin, from even several yards away. You aren’t going to avoid them, so you need protection from them. Mosquito repellents do not kill the mosquitoes, but they have certain chemicals which mosquitoes are averse to or cause irritation to them. Different types of repellents are available in the market with natural oils and synthetic chemicals, both of which can help you keep mosquitoes away. Some of the repellents are even built in to bug shirts, shirts designed to keep mosquitoes and other insects off of you. Before we get into it, here is a point to ponder: Around 20,000 repellents are available in the market, and many of them don’t work. To find the best products, you should know that the Environmental Protection Agency must register all the insect repellents. The agency then identifies the products which work as insect repellents. We put the various repellents to the test, in conditions ranging from an outdoor bbq, to hiking in the deep woods, to sending along with our kids to summer camp. We wanted to try a variety of products that ran the entire spectrum, completely natural on one end to heavy DEET on the other. Here are the best available mosquito repellents in the market. Ben’s comes in both spray and wipe form. The active ingredient in this spray (and several on this list) is DEET. When some people hear the word “DEET”, they envision a harsh pesticide, but that is not considered to be the case by researchers. 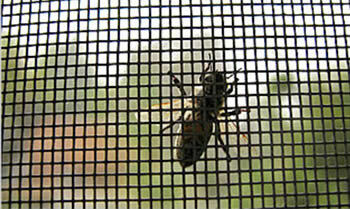 It is viewed by the scientific community as generally safe and very much effective to keep the mosquitos away. Put this this way — it is probably much safer than contracting West Nile or Zika. Ben’s contains 30% DEET as an active ingredient and provides long lasting operation without forming a film on the skin. 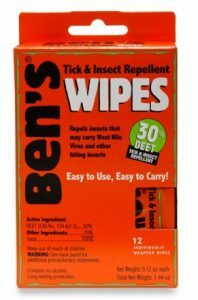 Ben’s is also available in wipes, something that can be convenient if you want to target exposed skin without getting the rest of your clothing smelling like mosquito repellent. Find Here. The spirit behind this repellent is incredible. Combining the two necessities of the summer season in a single bottle is worth applauding. This formula works as a sunscreen and a mosquito repellent at the same time. The SPF 30 in this spray is an ingredient that will protect you against the sunburn. It is less waxy than the usual sunscreen, but it doesn’t dry your skin. In the evening, it works as a perfect mosquito repellent and has an action of more than 8 hours. Find Here. Deep Woods Off! is the most popular label for mosquito repellent. It is simply the best and most popular common mosquito repellent available in the market. It is to mosquito repellents what WD-40 is to lubricants or what Weber is to grills. After spraying on the skin, it dries off immediately and doesn’t leave any film on the skin. As a result, it is preferred by a large number of people. 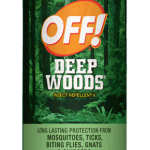 The main ingredient in Off Deep Woods Dry is DEET which is the synthetic compound we noted above. 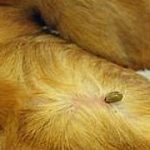 It provides protection for at least 8 hours, and we find it works relatively well for ticks as well (when applied to the shoes and pants). Off! makes many different products under their label, but Deep Woods Off Dry is the one we recommend for general use. This is the one we send with our kid to summer camp. Find Here. If you want to go the natural route with an natural mosquito repellent, the next few options are for you. The first is the Lemon Eucalyptus Oil (OLE), obtained from Eucalyptus plant. It is one of the naturally known insect repellents. This spray contains 30% lemon eucalyptus oil as the main ingredient. It protects against the mosquitos for more than 6 hours. It may even protect against the mosquitos which are possible for spreading Nile Virus. Eucalyptus is arguably the strongest of the natural mosquito repellents, with qualities on par to DEET. But because there is no DEET, it is probably safer to use with sunscreen. Find Here. The chief ingredient in this spray is eucalyptus oil. It is a distilled oil obtained from the leaves of Eucalyptus plant. Despite being commonly used as a repellent, eucalyptus oil also used as an antiseptic. This spray provides protection against the mosquitos for more than 6 hours. It has a strong, catchy odor that keeps a mosquito from biting. The active ingredient in this product is similar to the Repel, above. Honest makes a green bug spray worth trying. For years, citronella candles have been used as an effective way of keeping the mosquitos away. The main ingredient in the candle is citronella oil which is the chief principle in this spray too. It provides protection from the mosquitos for more than 6 hours. It has a sweet scent and doesn’t form a film on the skin when sprayed. Not quite as proven in the lab as the eucalpytus products, but our anecdotal testing suggest it works with enough reapplication. Find Here. These towelettes are a bit larger than the face wipes which is drenched in a liquid solution. The chief ingredient is picaridin which is a powerful insect repellent. The residue dries off quickly and doesn’t leave a film on the skin. The active ingredient here is Picardin, one of the chemicals known to work for extended periods of time on both mosquitoes and black flies. This is one that also made our list of mosquito repellents for babies because of its effectiveness and moderation on the skin. Find Here. This lotion reduces the rate of DEET evaporation by 67% and protects you for 11 straight hours. It forms a non-greasy, thin film on the skin and stays intact even with intense perspiration. It is effective against all the mosquitos including the ones which spread Nile virus. For those who might be willing to reapply just a bit more often and would prefer less DEET in the product, they also make a 20% DEET version. Both are effective. Find Here. 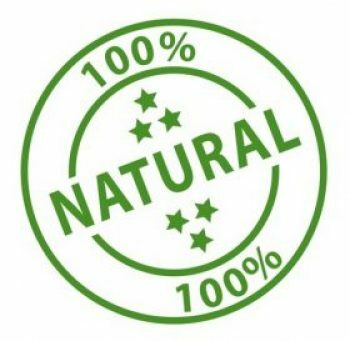 The main ingredient in Natrapel 12-hour is picaridin, a chemical similar to DEET in its makeup and how it works. It is effective for long stretches at a time. It gives a strong protection from the mosquitos for 12 hours. It doesn’t cause any irritation on the skin. It doesn’t form a thin film when applied to the skin. It can also be sprayed on the clothes, and it would be enough to keep the mosquitos away. This spray is EDA approved. Find Here. We like Jungle Juice for more extreme situations. Let’s say you are about to hike through an area known for West Nile or Zika, or embarking on a week-long Northwoods canoe trip at the height of mosquito season. Not a time to be testing something that “might” work. You might want something in your pack for those evenings when mosquitoes are abnormally bad. Jungle Juice is 98% DEET — yes, pretty much pure DEET. That high concentration means that it will be effective longer than a lower-dosage of DEET. It is safe on skin and clothing, and might be worth having along for those times when the other products just don’t seem to be winning the mosquito battle. Find Here. Our conclusions on which repellents to use are anecdotal, coupled with publicly published studies and research that we have access to. Granted, we live in a mosquito-thick area are so are able to observe which sprays tend to work and which don’t. Consumer Reports did some testing where they found that the most effective mosquito repellents were ones that 1) Contained 15% to 30% DEET, or 2) used Picaridin at rates of higher than 20%, or 3) relied on Oil of Lemon Eucalyptus at a rate of 30% or more. In other words, their findings were that you should focus less on the brand name, and more on the active ingredient. Additionally, the NIH and EPA regularly update their tests on mosquito repellent. Some of the most common questions we get are about the safety of DEET, and the organic options for mosquito control. Our response has not changed: We are not biologists or physicians, and can’t say for sure how safe DEET is. We rely on the studies that conclude DEET, when used normally and according to directions, does not pose a health risk for humans. We also know from our observations as well as from other testing that it does in fact work better than organic solutions at repelling mosquitoes, and for a longer period of time. Finally, the health hazard associated with a mosquito that is carrying West Nile or Zika is proven, and something that should be avoided. Our conclusion? DEET seems like a relatively safe way to protect yourself against diseases that can be quite harmful. We have no issues using it. One emerging finding, however, is that DEET and sunscreen do not mix well together when applied at the same time. Efficacy could be impacted, and absorption could be increased when they are. Instead, apply sunscreen first, allow it to dry, and then apply the DEET over it. The movement for more plant-based mosquito repellents is strong and growing. 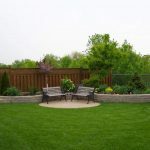 Many consumers are concerned that the long-term effects of DEET, permethrin, and other chemicals can’t be good for us or for non-target species (e.g. bees). While the current-day EPA testing shows that these chemicals are safe, we completely agree that finding natural or plant-based repellents should be a priority, if for no other reason so consumers have choice. Several of the products listed above include citronella, camphor, or eucalyptus as their primary ingredient. These are organic, plant-based repellents, and have probably been around for centuries if you think about the generations before us who had no choice but to use natural remedies available to them. Studies show a few common themes, but one major one is this: These plant-based repellents work, but perhaps not quite as well as DEET-based products, or for as long. So if you rely on natural mosquito repellents, just be sure to reapply a little more often often. Do I Have to Use Repellents? We are often asked if you can keep mosquitoes away without repellents. Are answer is almost always the same: Perhaps, but nothing is as proven as a repellent. If you will be in an area known for mosquitoes that carry diseases like West Nile or Zika, we would always so to be safe and use a repellent. Using a mosquito shirt and hat will allow you to use less repellent because you will have less exposed skin, and that is probably the most foolproof way to reduce the chemical you need to apply. Another alternative is to use a mosquito wristband, but we are also not convinced that the effectiveness is the same as a repellent. One note — most repellents are not intended for use on babies under 2 months. Even some of the better repellents for babies specify that they really should be used after the child in 8-12 weeks old. If you have a young baby, you might be best trying to keep them away from mosquito-prone areas. 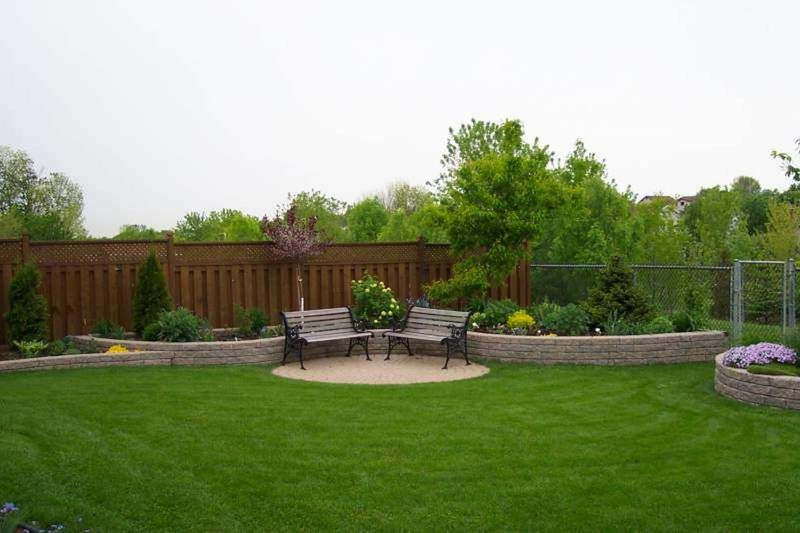 Sooner or later, though, the outdoor play and fresh air will be exactly what they want and need, so at that point you should find the right repellent to use. How About Using Repellents When Pregnant? You can never be too careful about chemicals when pregnant, so it is always best to read the directions and warnings on your specific repellent. The good news is that the CDC says it is safe for pregnant women to use DEET and Picaridin-based products at any stage of pregnancy. To be safe, limit the concentrations. For DEET, 30% is the max. For Picaridin, 20% is the max. This is welcomed news for pregnant moms-to-be, because we know how the Zika virus can be a cause of some birth defects like microcephaly.